Thoughts: If you want to kick a coffee habit, or replace it with a new one, Yerba mate is the legendary infusion from South America that is luring people away from their daily coffee fix! Yerba mate first caught the attention of world-class athletes and health-conscious people, but now mate is becoming a favorite healthful daily ritual for all people taking their well-being seriously. Grown in the sub-tropical rainforests of Argentina, Brazil and Paraguay, yerba mate has long been revered as the “drink of the gods”. 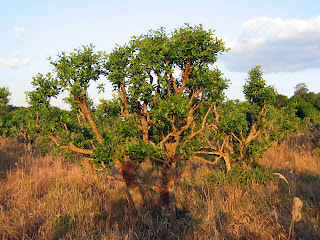 For centuries, South America’s Ache Guayaki tribe have sipped yerba mate from a traditional mate gourd for its rejuvenative effects. These rainforest people find tremendous invigoration, focus, and nourishment in yerba mate. The leaves of the rainforest mate tree naturally contain 24 vitamins and minerals, 15 amino acids, abundant antioxidants. In fact, The Pasteur Institute and the Paris Scientific society in 1964 concluded "it is difficult to find a plant in any area of the world equal to mate in nutritional value" and that yerba mate contains "practically all of the vitamins necessary to sustain life." Mate contains three xanthines: caffeine, theobromine (this is also in cacao aka chocolate!) and theophylline, the main xanthine being caffeine. 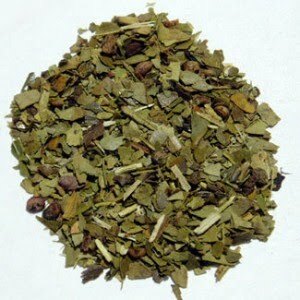 To read more on Yerba Mate click here. This being shared is thanks to Jinjee Talifero! Quotes: Day after day the sun....Zen saying. Meal 1: A cucumber, green apple and ginger juice. Meal 3: 2 mandarins (tangerines). Meal 4: Scallops with Sweet Carrot Salad! mmm! Was soft and sweet :) Created with carrots, ginger, avocado, mandarin (tangerine), and mint and scallops with paprika. Meal 5: Almond Butter Logs - created with almonds! JUST almonds! In 3 different ways - almond butter, rolled in chunkier almond pieces and then rolled in almond dust (fine blended almonds). When you bite into it, it's chunkier almond outside with a creamy almond center. Recipe: All recipes will be published in The Earth Diet book soon to be released! Check website for details!